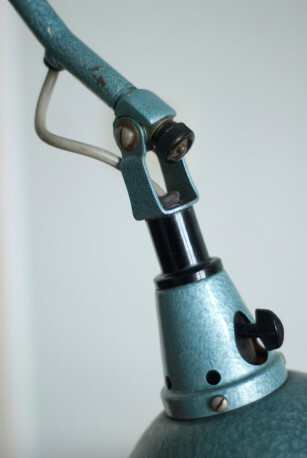 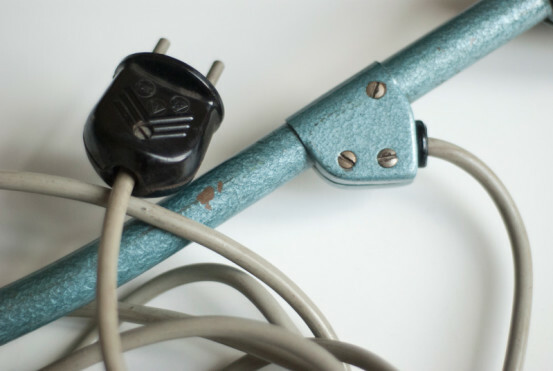 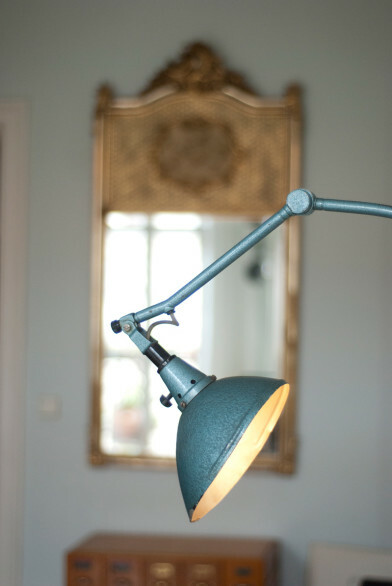 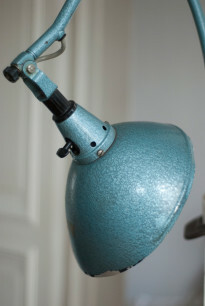 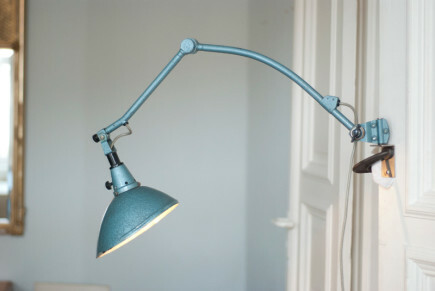 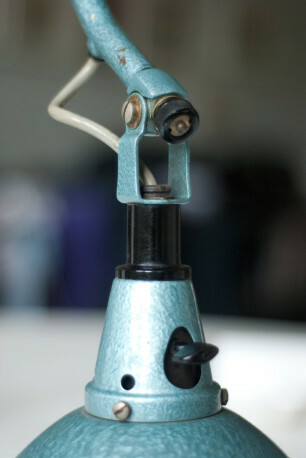 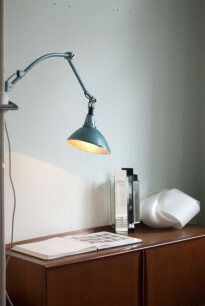 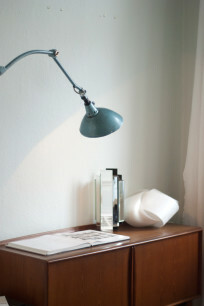 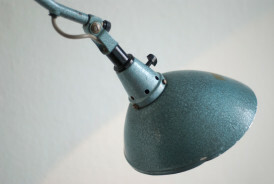 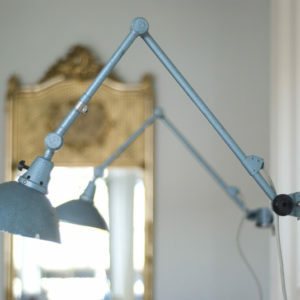 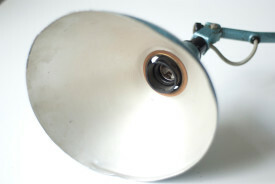 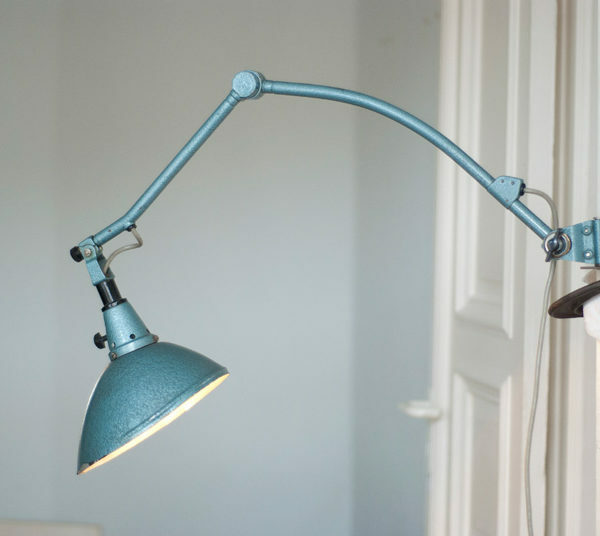 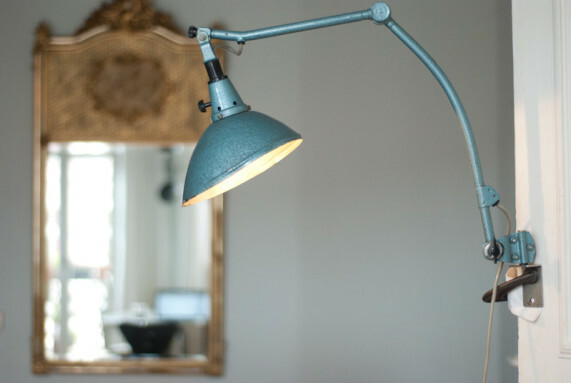 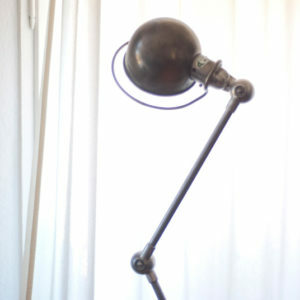 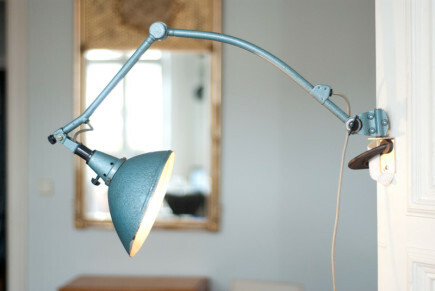 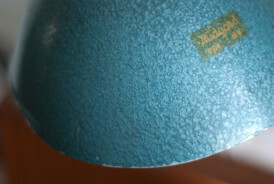 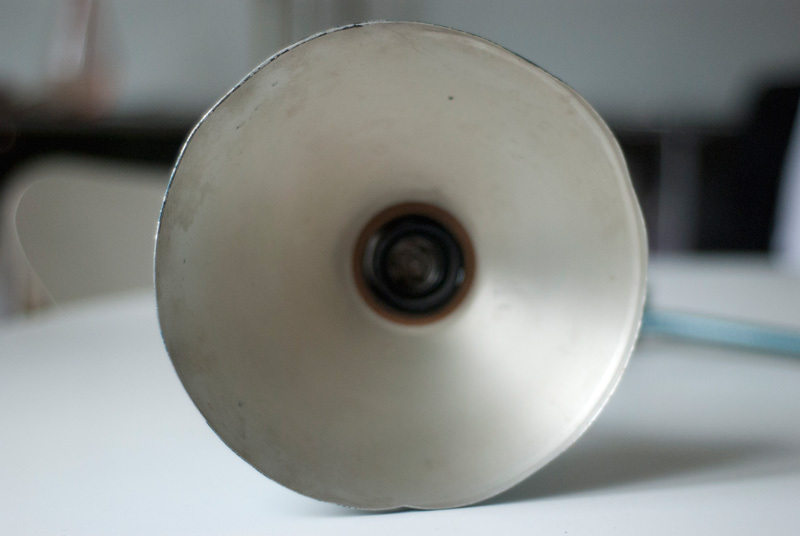 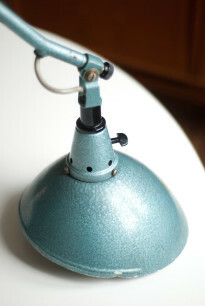 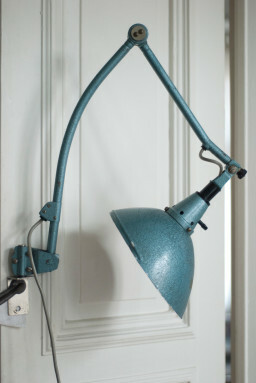 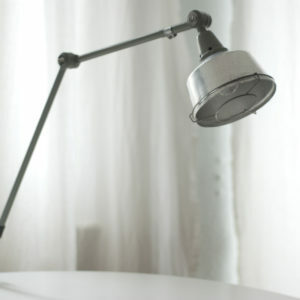 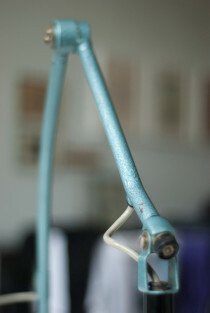 Rare jointed lamp in original condition with blue hammertone finish paint and wide shade. 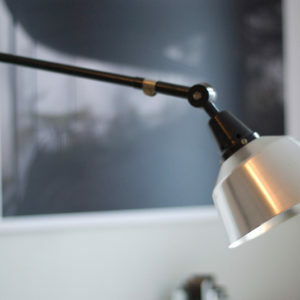 The lamp is engraved with Midgard on the shade and the lampbase. 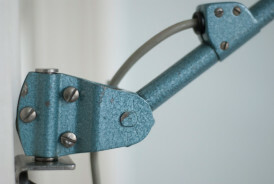 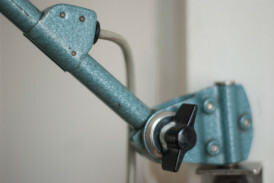 The joints are held by two screws.